NEW YORK — As the legislative session ended in Albany, the New York State Senate once again failed to protect the reproductive rights of New Yorkers, leaving women without necessary protections for abortion access and at risk of prosecution for ending their own pregnancy, and putting contraceptive access at the mercy of a federal administration unprecedentedly hostile to women. The Reproductive Health Act (RHA) would have enshrined in state law the right to abortion as recognized in Roe v. Wade, in addition to removing New York’s criminal ban on self-administered abortion. The Comprehensive Contraception Coverage Act (CCCA) would have expanded upon the advances of the Affordable Care Act (ACA) in New York state law by ensuring access to the full range of contraceptive methods with no co-pay and allowing women to access 12 months of birth control at a time. In the lone success for reproductive freedom this session, Gov. Cuomo released new regulations this month that improve access to abortion by guaranteeing insurance coverage for abortion for all New Yorkers with no co-pay. This first-in-the-nation regulation breaks new ground in access to abortion care. As the federal government works to overturn Roe v. Wade, dismantle access to affordable health care, defund Planned Parenthood, reverse the Affordable Care Act’s birth control insurance coverage mandate, and deny federal family planning funds to facilities that provide abortion, state and local legislative action to safeguard access to reproductive health care is increasingly critical. 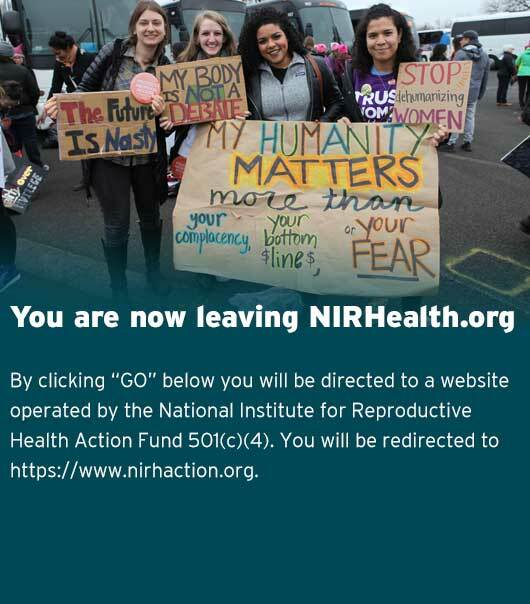 The National Institute for Reproductive Health continues to counter these federal attempts to roll back women’s rights through proactive policy work in New York and across the country.